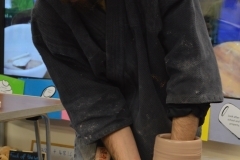 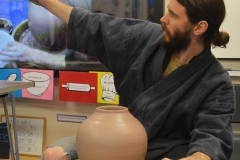 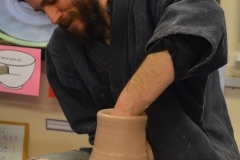 Jacob studied for a ceramics degree at Cardiff University and has worked for the Leach Pottery and the Boscean Pottery. 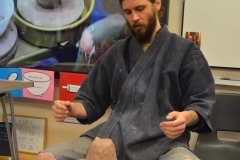 He now has his own business based in Devon. 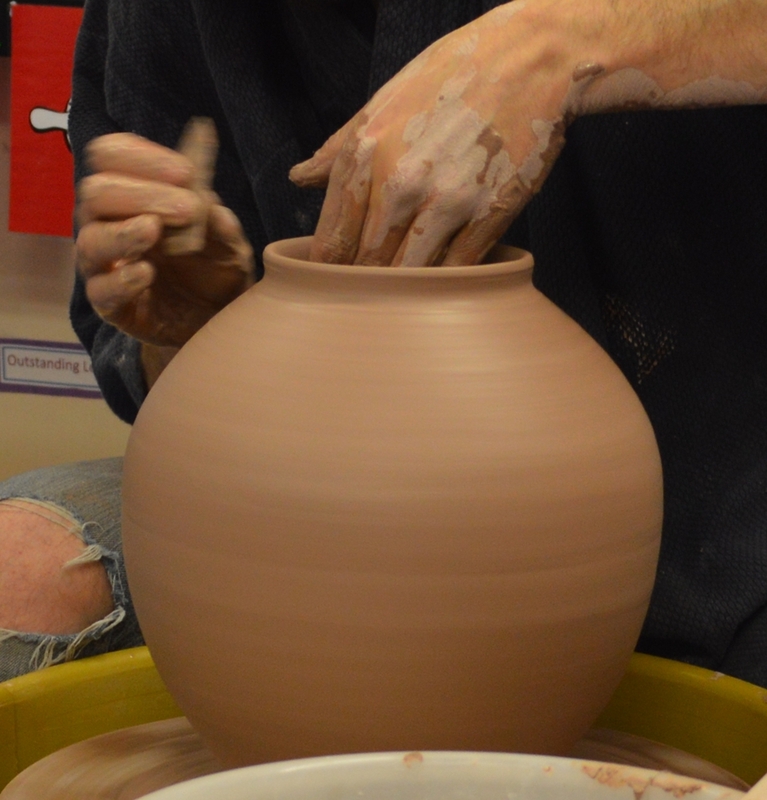 Jacob is familiar with the pottery techniques of European slipware, salt glaze and reduction stoneware. 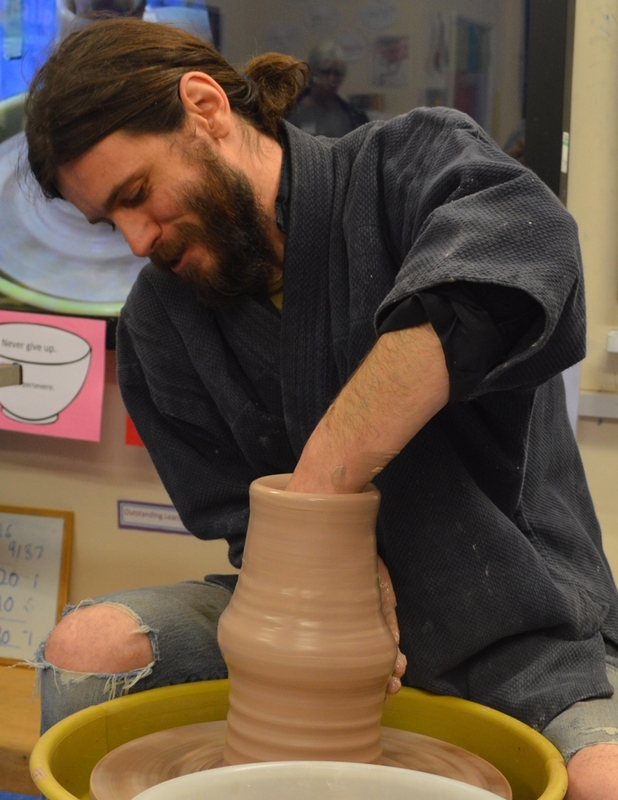 He personally produces functional pottery for the kitchen table, ovenware and tea and coffee drinking. 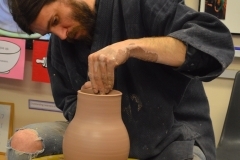 He also produces more personal works, such as vases, and one-off pieces. 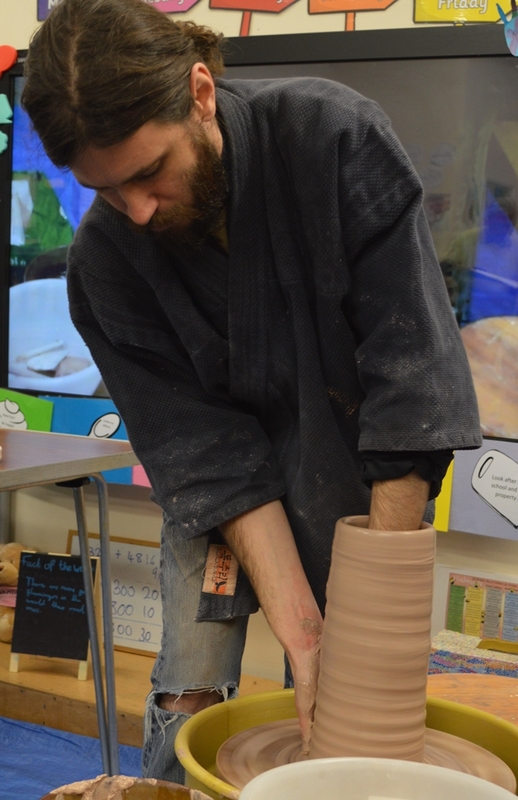 For more information about Jacob see his facebook page here. 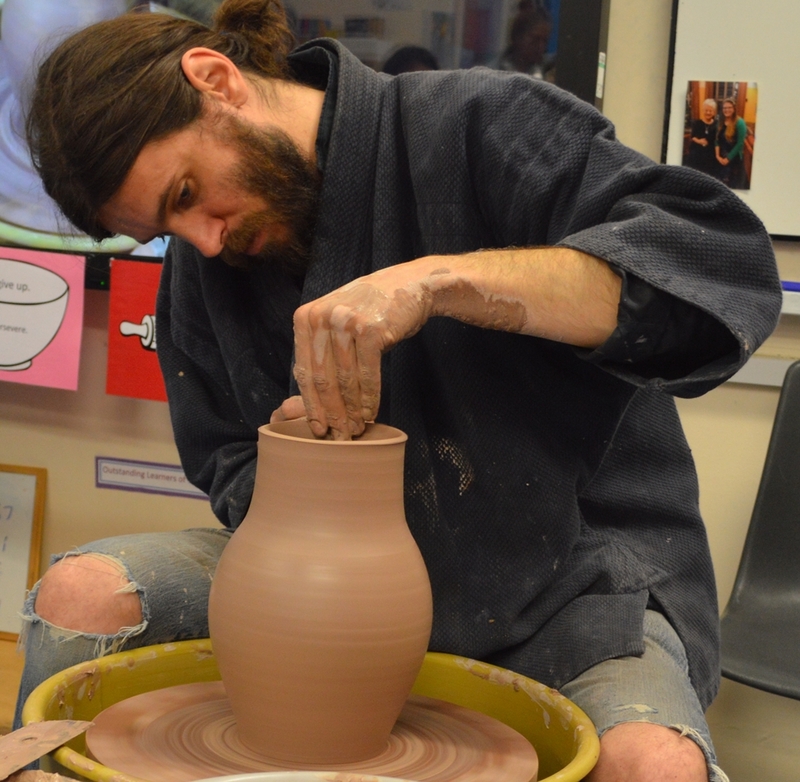 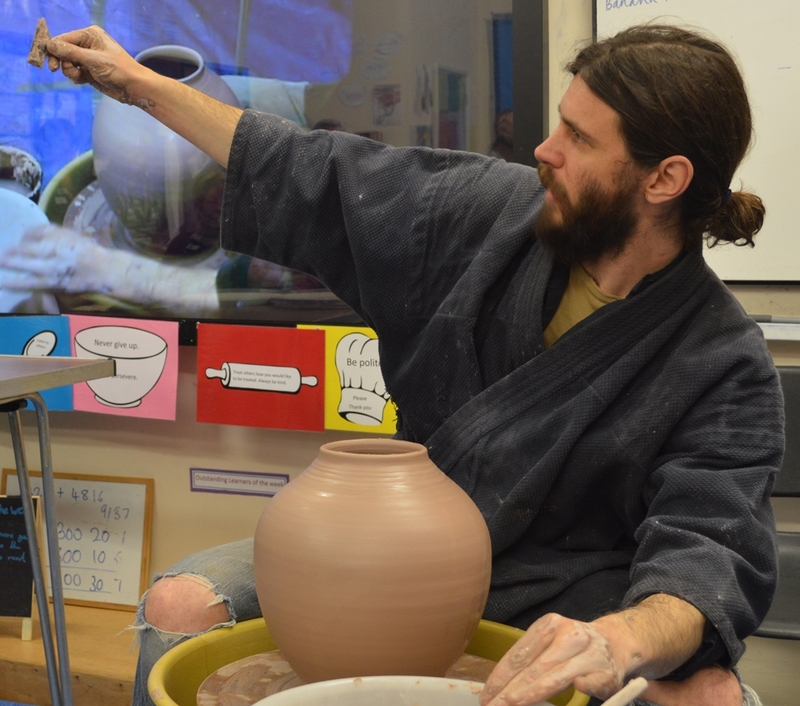 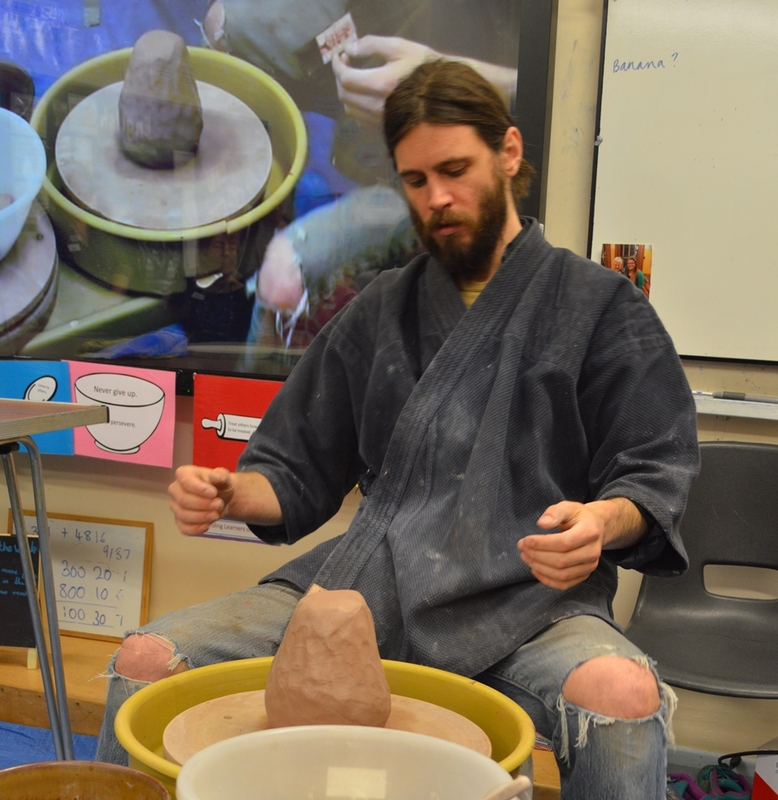 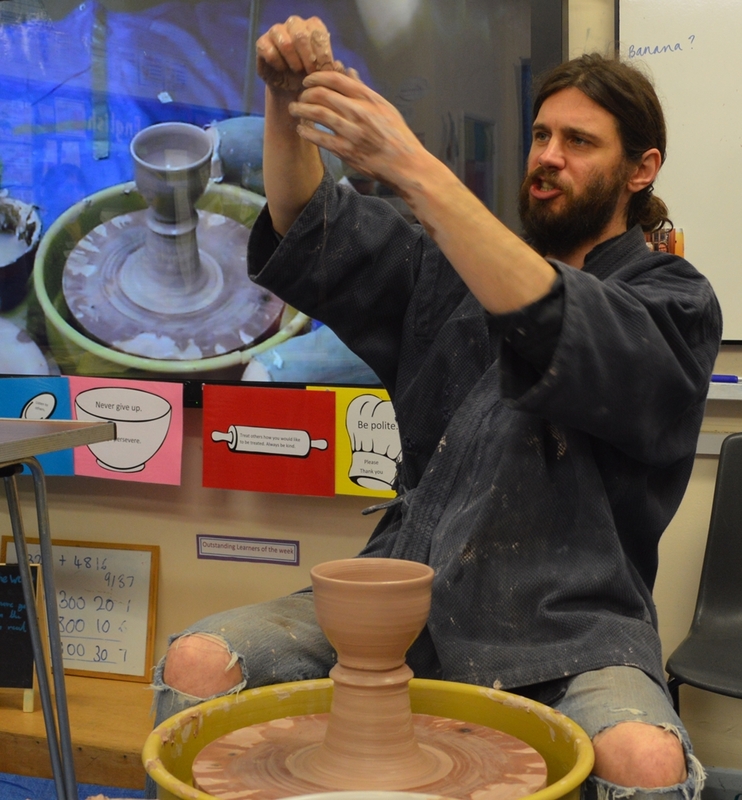 Jacob gave us a most enjoyable and refreshing talk about what inspires him and his journey from carpentry back to college, University, apprenticeship at the Leach pottery and the Boscean Pottery at St Just. 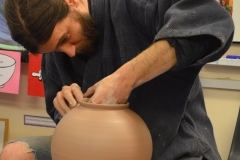 His love of very old Tenmoku pots is evident, and he makes his own Tenmoku from very basic ingredients; wood ash, Stone and clay, as in the old Chinese recipe. 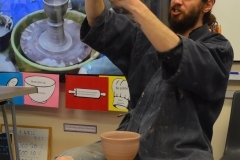 Different woods give different results, Beech, Chestnut, Ash and Willow are favourites but he warns us to stay clear of Oak and to always wear protective gloves when washing Ash as it can become caustic. 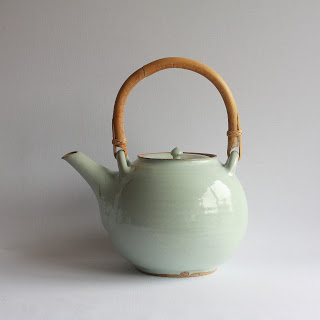 The phosphorus in Beech gives a good chun. 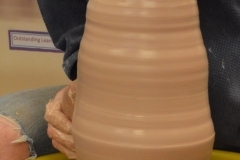 The older the pot usually the more saturated the glaze becomes, giving differing texture across the pot surface, hard to replicate in today’s world of fast often aggressive firing times and temperatures to reach maturity rather than the long slow burn favoured in the early days of glazing. 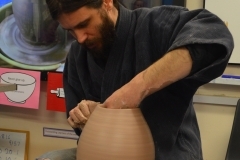 Needless to say with a passion for the shape of Mycean pottery and the heavy black Tenmoku glazes one of his most inspirational potters was Shoji Hamada. 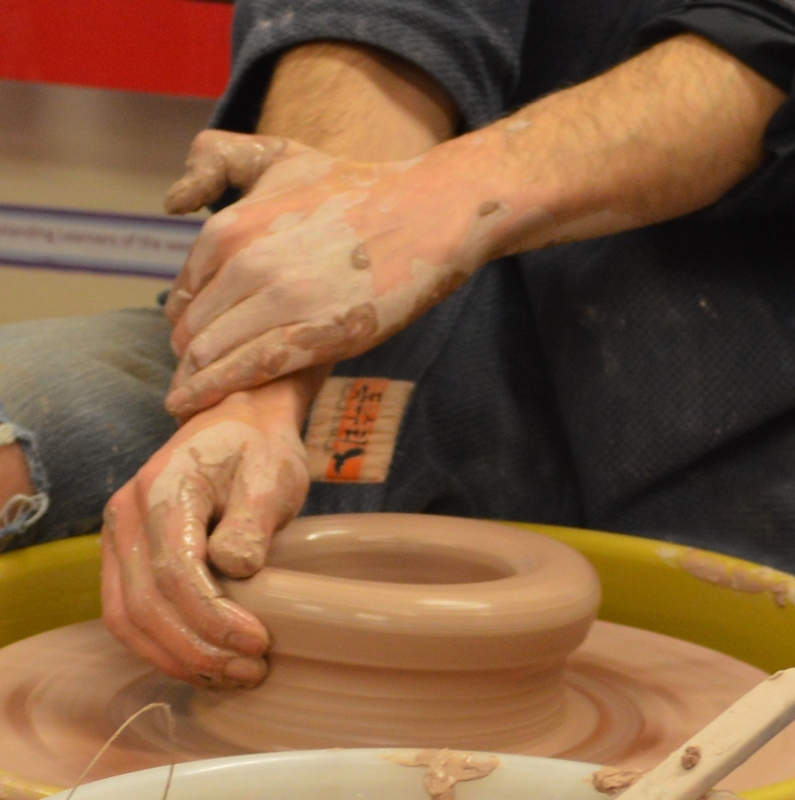 Today Jacob throws on an electric wheel. 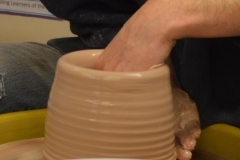 Having spent many years using a kick wheel, he prefers an electric wheel as he feels he was able to see the clunk clunk of the kick wheel in his pots! 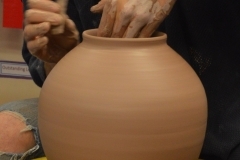 He uses his own 3 clay recipe adding a terracotta to two whiter clays as he prefers a slightly darker clay. 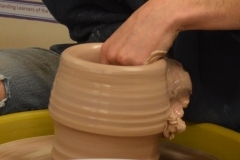 If throwing with Porcelain he recommends leaving the bag open overnight before completely re wedging the whole bag, this helps the clay to perform better in throwing, although it is quite hard being dryer. 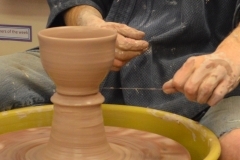 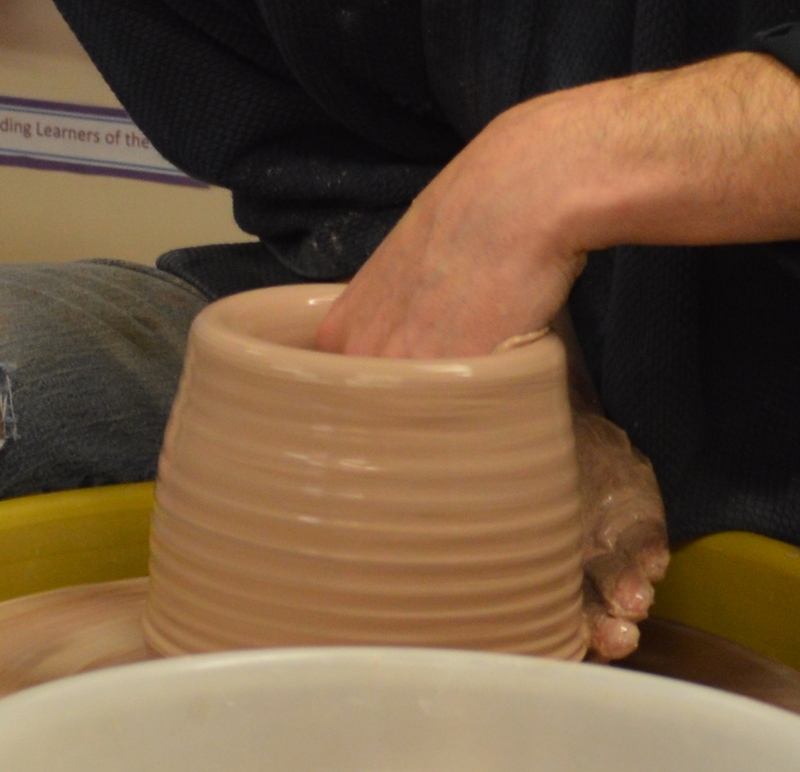 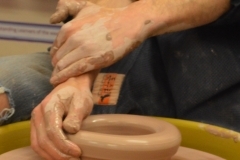 Prior to throwing his stoneware mix he always uses the spiral wedge technique, this reduces tension in the clay and is a quick method producing an egg shape to put on the wheel rather than a ball. 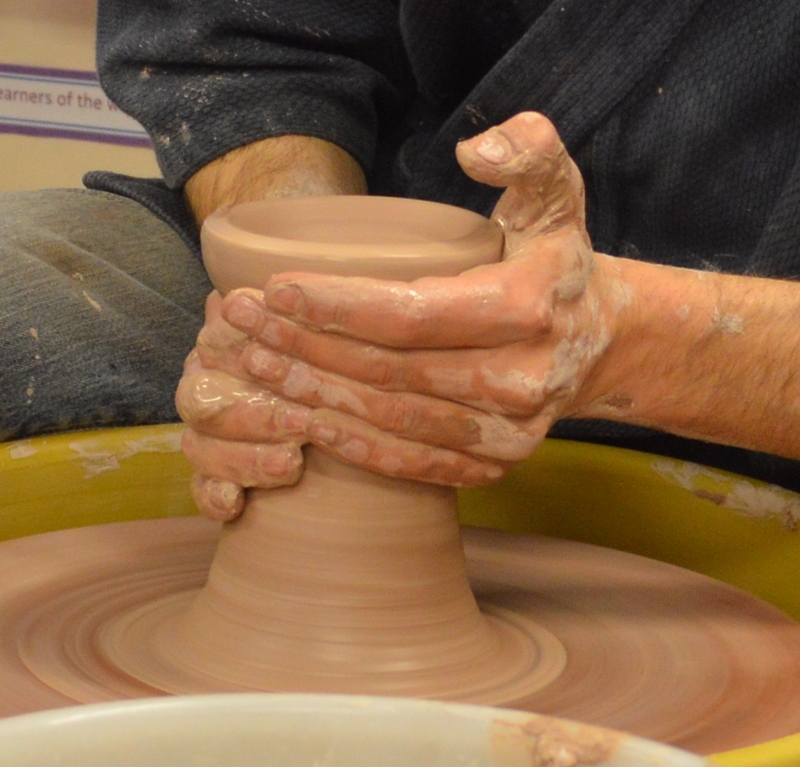 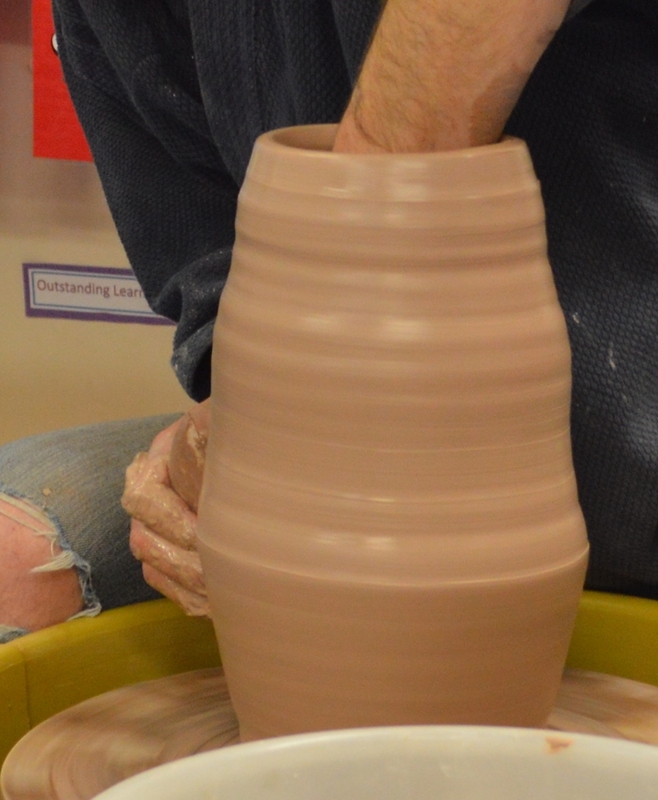 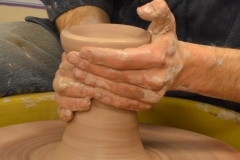 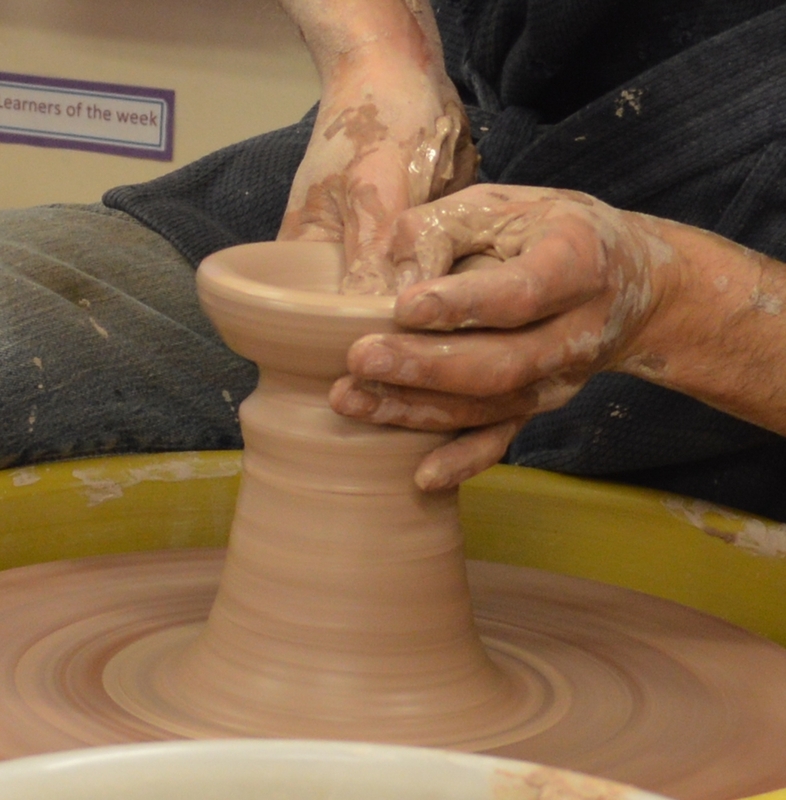 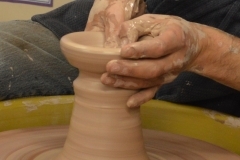 The act of preparation and throwing being carefully considered; starting with an egg shape and placing it in the centre of the wheel all helps to create Zen, resulting in a calm well thrown balanced pot, after all when you’ve 100 or so to throw why make it hard on yourself, always try to conserve energy! 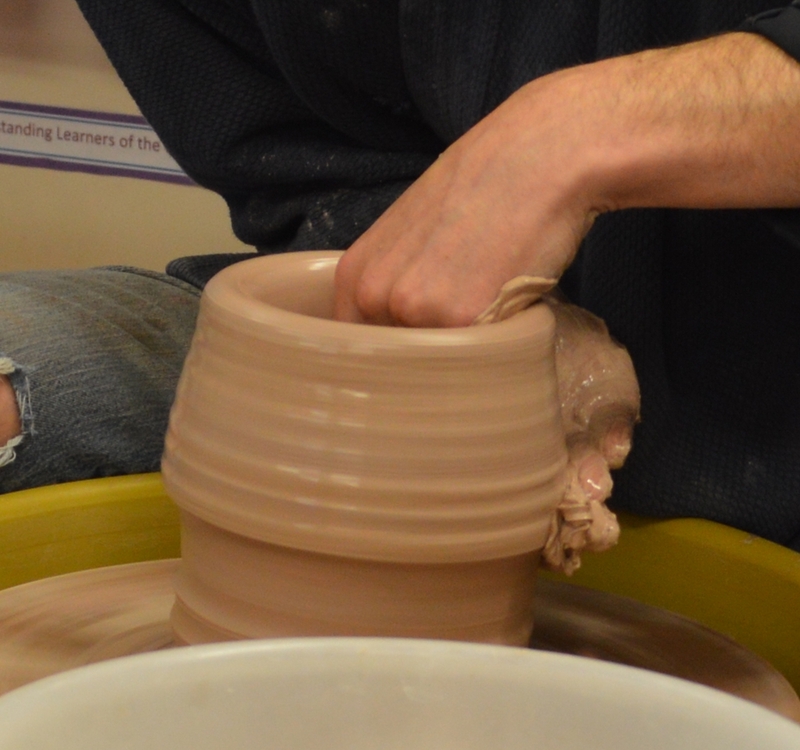 Once the clay is pressed down onto the batt the next task is to centre it; for this Jacob uses a leaning in and pushing forward approach, see photos and video clip alongside these notes. 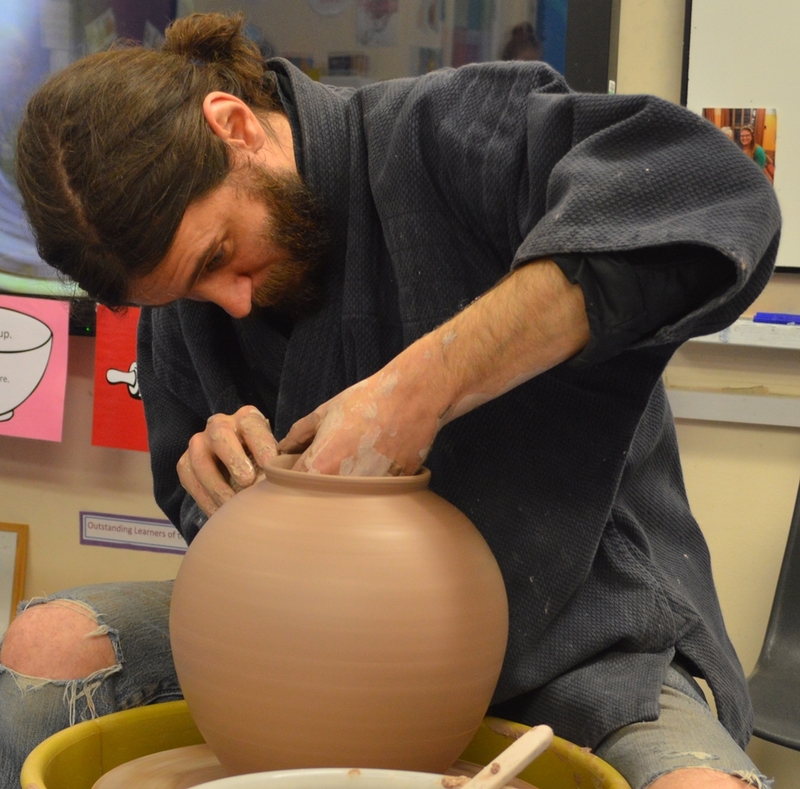 He uses tools on both the inside and outside to form his moon jars, the tools must be the right shape and should always be metal or wood, never plastic! 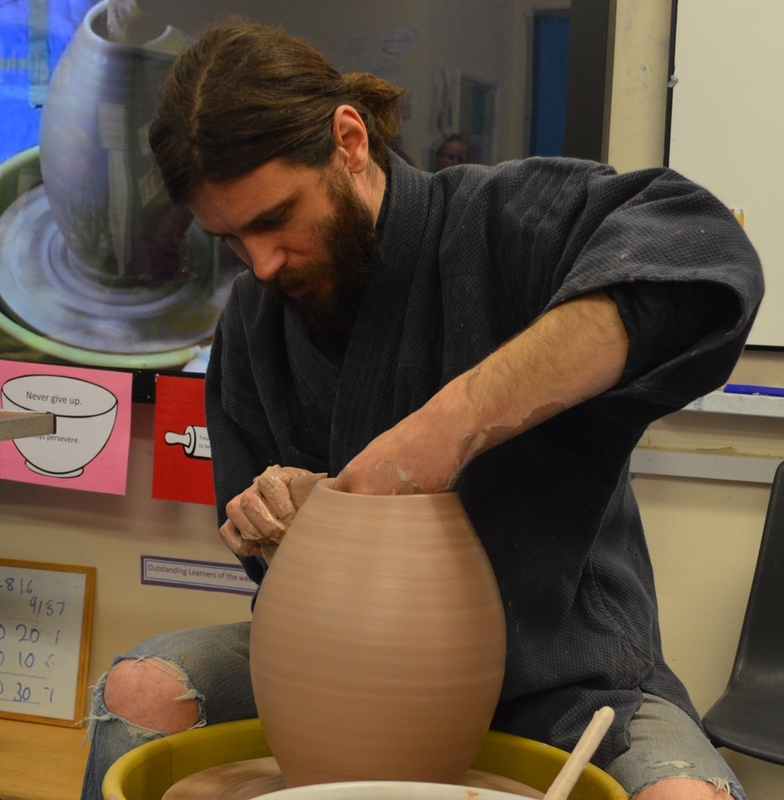 Jacob threw an impressive moon jar, a jug and two tea bowls off the hump. 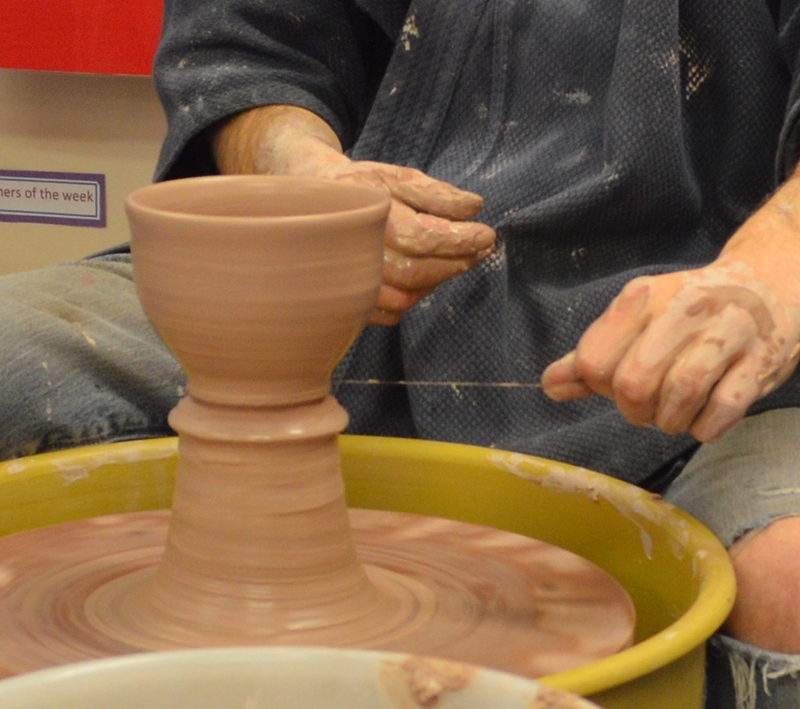 To wire off from the hump he used Button Thread, holding it on his right hand side of the pot, the wheel does a single rotation and the thread slips through cutting off the pot from the hump evenly.